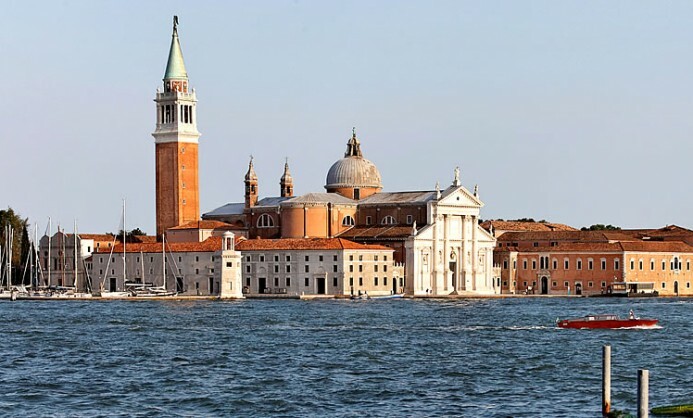 Departure from P.le Roma by boat line 1 (direction San Zaccaria) until Riva of Schiavoni, to reach SAN GIORGIO ISLAND by boat 2 (direction Tronchetto), where there is the Church builted in the XVI century , planed from Palladio and the tower that offers a marveillous visual on the St. Mark’s basin. The tower was erected in 1791 and planed by the bolognese friar Benedetto Buratti to replace the fifteenth-century one falled down in 1774. 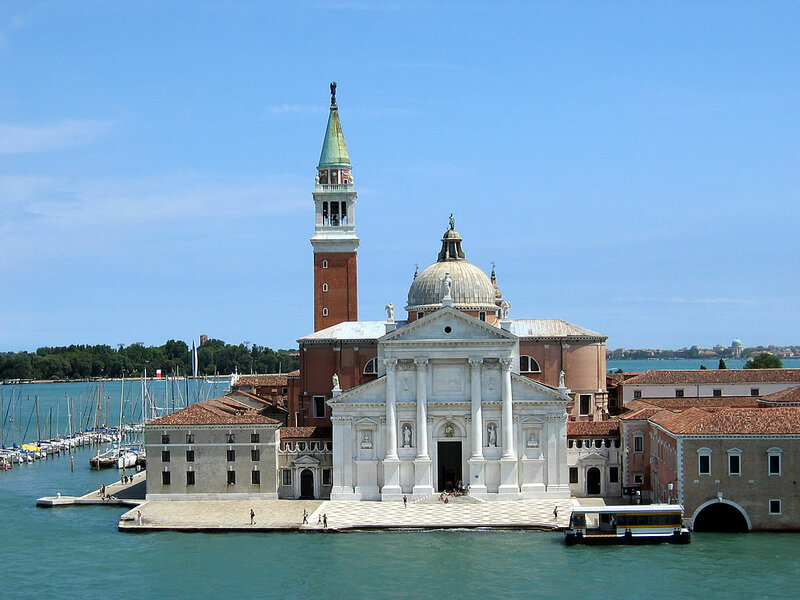 Another monument of the Benedicine part of the island is the Abbazia Benedettina di San Giorgio Maggiore that was demolished and rebuilted 5 times before taking on the great appearance which one it appear us now. 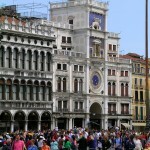 Return to St. Mark’s Square, proceed along Calle XXII Marzo with shops of high fashion and jeweller’s. 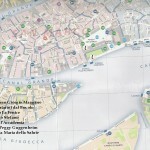 Alternately from St. Mark’s Square you pass under the Clock Tower and you go up again Calle Mercerie until Campo del Bovolo. 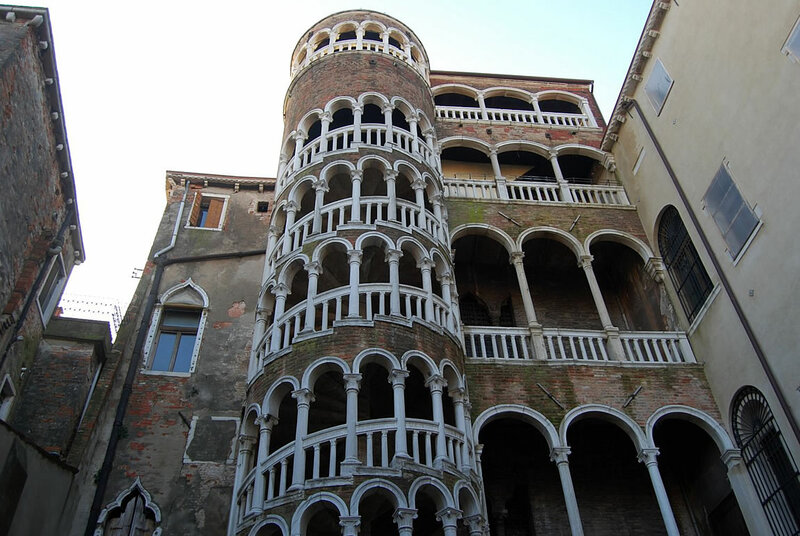 In this small Campo stand one of the most characteristic building in Venice, la SCALA DEL BOVOLO, an original cylindrical tower opened with a motif of bowes on columnes. 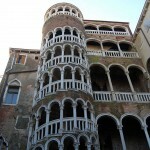 Here inside climbs a spiral staircase. 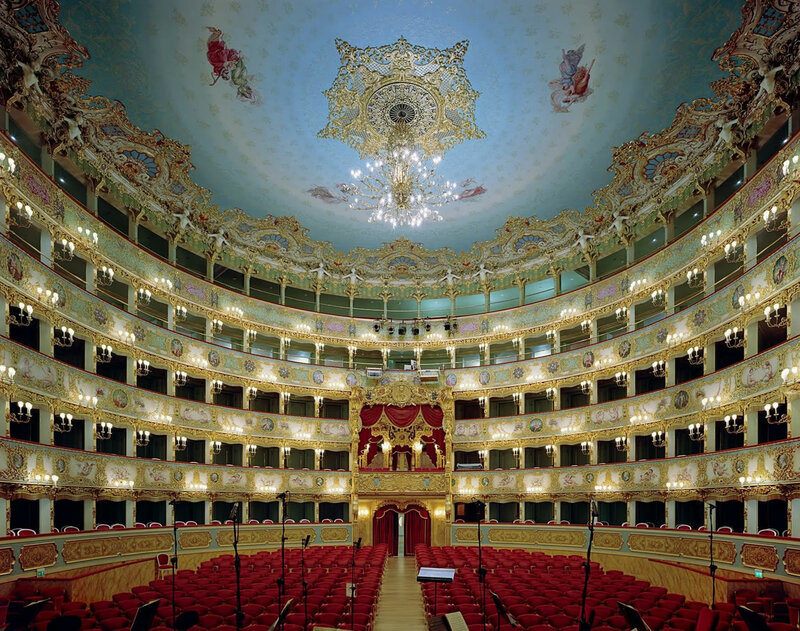 Passing Campo Manin you reach TEATRO LA FENICE , inaugurated in 1792, almost entirely destroyed by fire in 1836, and again recently in 1996, the Theatre La Fenice was the most important in Venice and one of the most elegant of Italian theatres. 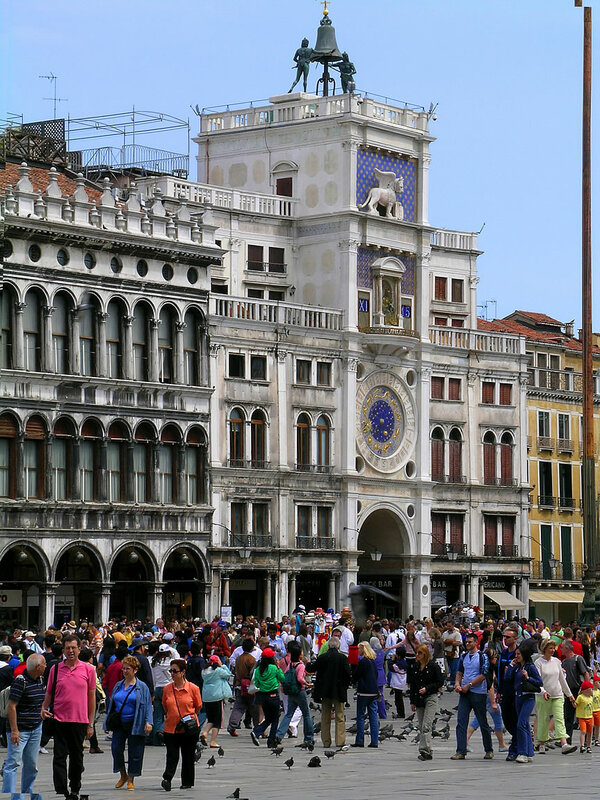 We then come to CAMPO SANTO STEFANO that is enclosed by fine palazzi and where there is the Church of Santo Stefano after which the campo is named, was built by the augustinians in the thirteenth century. You can arrive at the ACCADEMY GALLERY, (crossing the Accademia Bridge, iron bridge built in the second half of the XIX century) one of the most important museums in Italy, essential for the study of 14th to 18th century for art and history. 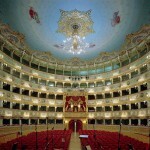 Built in the half of ‘700, the Accademia delle Belle Arti was reformed by Napoleone in 1807 and since then it has its seat in the ex Convento della Carità. 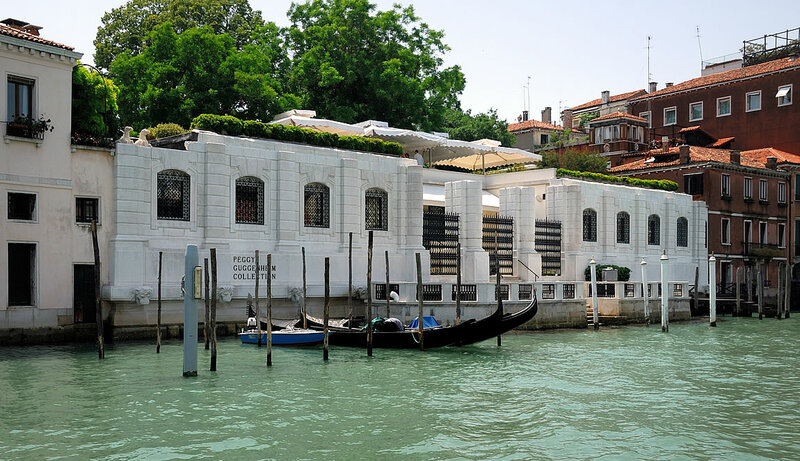 The PEGGY GUGGENHEIM COLLECTION is located in Peggy Guggenheim’s former home, Palazzo Venier dei Leoni, on the Grand Canal in Venice.The collection of works of modern art outlines the interesting path from Abstractionism to Surrealism. 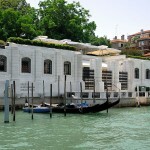 Temporary exhibitions are also held in the rooms of this ground floor palace (among the artists represented are Picasso, De Chirico, Mondrian, Braque, Duchamp, Delaunay, Kandinsky, Miró, Klee, Magritte). 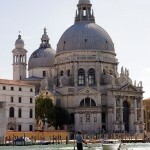 Walk until the CHURCH OF SANTA MARIA DELLA SALUTE. This 17th century church is dedicated to Our Lady of Good Health (Salute). 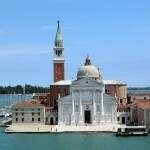 It was constructed after Venice had been freed of the plaghe between 1631 and 1687, and begun by B. Longhena. 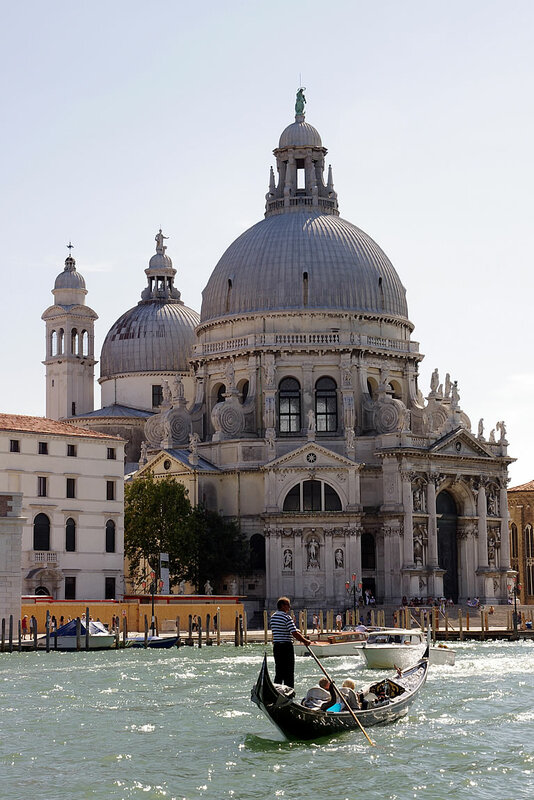 Very fine the overall effect of the statues that decorate the facade; while the octagonal plan interior is hung with important paintings such as the altarpiece by Titian in the Sacristy. 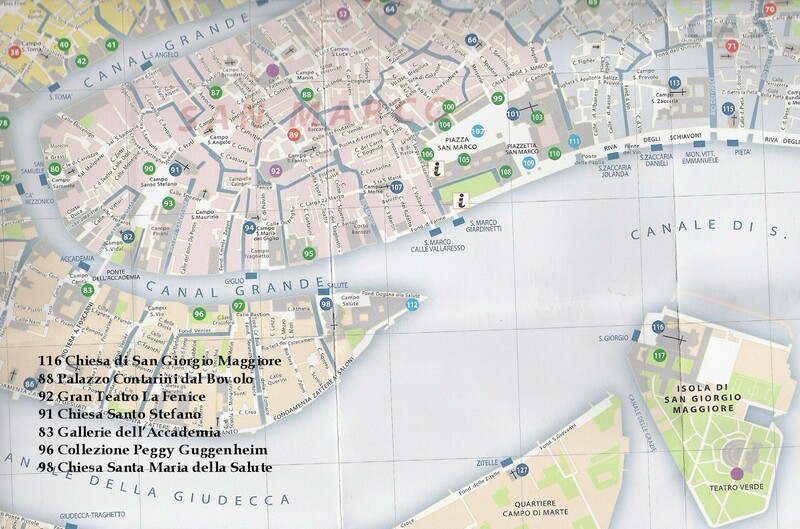 Return to P.le Roma by boat or walking along the Zattere, an ideal area of Venice for the strolls along the Gran Canal, passing through CAMPO SANTA MARGHERITA, picturesque campo surrounded by old fourteen-century palazzo and the little church Santa Margherita. The old belltower still has Baroque stone decorations.